During this unit you will learn about secondary machining processes. You will also be expected to produce machined parts using two or three industrial processes. These may vary depending on your institutions access to machinery but in most cases these are a vertical mill, a centre lathe and a sheering or grinding / buffing tool. 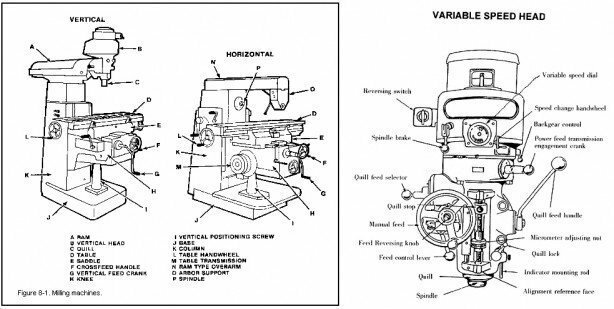 Machine diagrams: Centre lathe, Vertical Mill, Pillar Drill. Use the diagrams below to help you in identifing the parts of each machine, use the correct termonology when writing up your work. 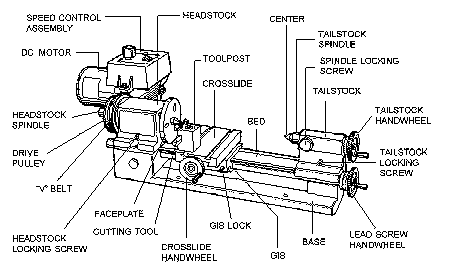 Tooling diagrams and info: Centre lathe, Vertical Mill, Pillar Drill. 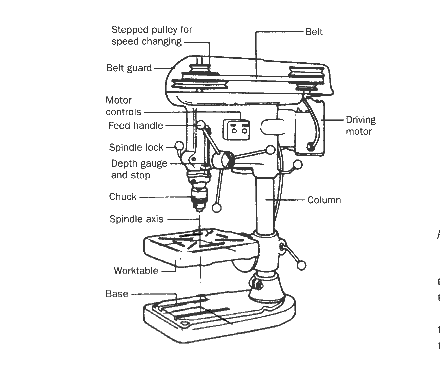 Use the diagrams below to help you in identifing the tools and processes that each machine employs and make sure to use the correct termonology when writing up your work. Unit 41 - Supporting files, H&S, Machine Manuals, Case studies of processes. Learning aim B & C require you to produce evidence of setting up and using secondary machining processes researched in assignment 1. You will accurately produce three machined components / parts safely. You will need to collate your evidence from Assignment 2. You should then review and reflect on the activities that you completed and behaviours that you showed when setting-up and using secondary machining processes to produce a component. There is more specific guidance on the range of activities and topics that you will have to assess in LA - D found the assignment sheet above and the slides below, so make sure that you check the assignment sheet regularly when writing up LA - D.